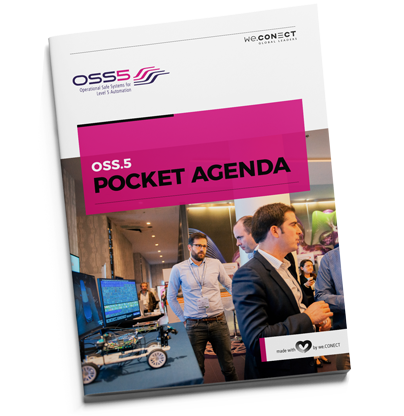 The first edition of OSS.5 Europe was a huge success. 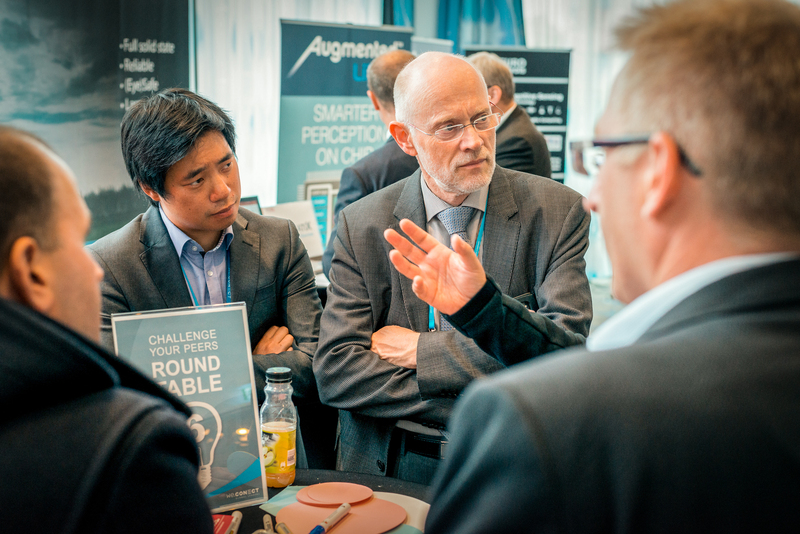 With attendees, speakers and business partners from different branches of the autonomous driving industry, the conference provided a rich mix of experts on automotive safety. Throughout the 2,5 days, the participants listened to real-world uses cases from companies like Volkswagen, Bosch, Continental, Volvo, Renault and Audi. The interactive World Café and Challenge Your Peers sessions created the perfect environment for discussing current problems, possible solutions as well as future trends while connecting with functional & system safety experts. With highlight case studies from Fraunhofer Institute about safety in cooperative automated systems, ranging all the way John Thomas’ (MIT) presentation on to analyzing the safety of autonomous vehicles, it’s clear: mastering the operational safety and security challenges we are facing right now will bring the autonomous vehicles to a whole new level. OSS.5 Europe is coming back to Berlin on September 26-27, 2019. Be part of the thought-provoking discussion and the autonomous business community! 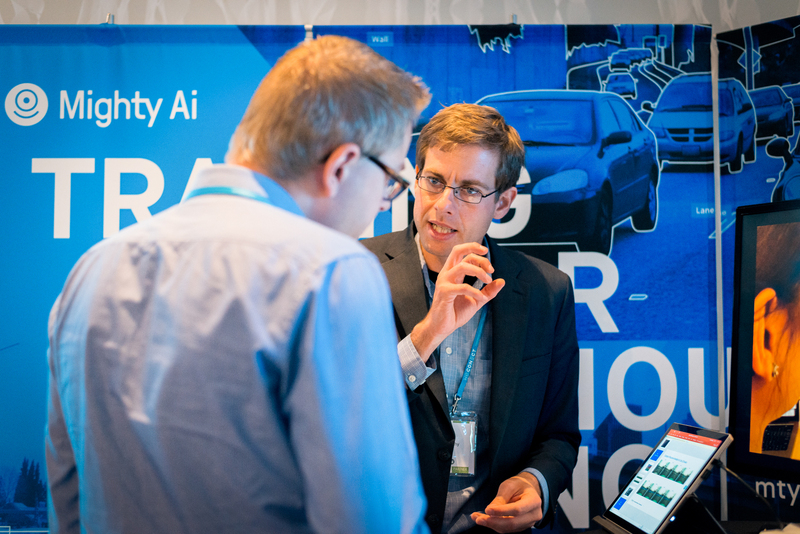 The Berlin Auto.AI and OSS5 conferences were a great success: well organized and focused on interactions between very knowledgeable people within the autonomous vehicle development community. I found it to be very well organized and structured. The presentations and the speakers highlighted some interesting development across the industry. This was the first conference on Autonomous Driving that I have attended where the message was “logical and rational” and everyone was communicating fairly and honestly about AD and it’s future. Wonder what the unique Networking Experience at OSS.5 Europe is? We from we.CONECT know that networking, ideation, knowledge sharing and getting this „little detail I didn‘t know so far“ is one of the most important reasons to participate in our events. To guarantee the best networking experience, various sessions have been created, tailored to your needs and curated from the industry – we call it Multi-Touchpoint Concept! Discover who else is participating at the OSS.5. Our unique Polaroid Picture Wall will help you identify who you want to meet at the conference. TASS International, a Siemens business, supports the global automotive industry in the creation of safer and smarter vehicles and is known for its unique development methodology, offering a set of advanced simulation software tools, tailor made engineering solutions and state-of-the-art testing and certification facilities and services, with the aim to improve Integrated Safety systems of vehicles and boost the development of Highly Automated- and Connected Driving. TASS International helps to develop better products, increased speed-to-market and more robust and cost-effective development processes. TASS International finds its origin in the Dutch research organisation TNO and has built a reputation as a leading organisation in the transportation industry. It has a history of more than 25 years, employing 200 people in 11 countries worldwide. Headquartered in Helmond in The Netherlands it operates several laboratories, under which a unique facility for testing and validation of Intelligent Transportation Systems and Cooperative Driving technologies. Its software brands PreScanTM, Delft-TyreTM and MADYMOTM are familiar names to the OEMs and to suppliers in the automotive industry. Mentor, a Siemens business, is a world leader in software solutions for electronics and electrical systems engineering. We provide software products, consulting services and support for electrical system design and wire harness manufacturing, from initial platform architecture definition to in-service maintenance. 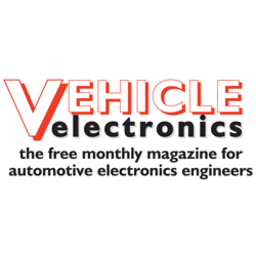 Mentor’s client base includes OEMs, tier 1 suppliers, wire harness manufacturers both small and large, and specialist vehicle manufacturers. The Capital tool chain is the solution to support the design, analysis, manufacture, and service of electrical connectivity and communication systems for Automotive, Aerospace and complex Machinery. With best-in-class integrations with Siemens NX and Teamcenter, Dassault Systemes CATIA, and PTC Creo, Capital supports true cross-functional product development as part of the Model Based Enterprise, eliminating manual processes and prototyping to deliver working products to market faster. Smart, Secure Everything – From Silicon to Software – Synopsys technology is at the heart of innovations that are changing the way we live and work. The Internet of Things. Autonomous cars. Wearables. Smart medical devices. Secure financial services. Machine learning and computer vision. These breakthroughs are ushering in the era of Smart, Secure Everything – where devices are getting smarter, everything’s connected, and everything must be secure. Powering this new era of technology are advanced silicon chips, which are made even smarter by the remarkable software that drives them. Synopsys is at the forefront of Smart, Secure Everything with the world’s most advanced tools for silicon chip design, verification, IP integration, and application security testing. Our technology helps customers innovate from Silicon to Software, so they can deliver Smart, Secure Everything.